which i looovee so much! The patch is like jelly and rich in moisture. 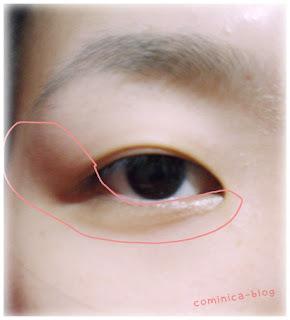 my dark circle look bit brighter after use. my eyes area become so soft and supple. Reduce lines around eyes a little. What I don't Like : because its containing Methylparaben. Purchase again? I don't know, since i love it maybe Yes. But since it has methylparaben maybe I'm looking to other product first. U can't really see the result in photos. and it soften my eye area. I have an insomnia and sleep only few hours. Okay, i got 3 samples of this peeling gel. And since now, i have use it all. peeling ur dead skin, makes your skin soft, supple and clean. - The smells is so cute and yummy! a gentle peach smell. - Makes your skin feel soft and supple. - I don't see any peeling effect. Purchase again? NO. That's why i just try the samples. 1 sachet u can use it for 2 times. and TSF Peach sake serum next time. I definitely need these. Been sleeping lesser and lesser now. My eyebags are scary :( Where did you buy that?